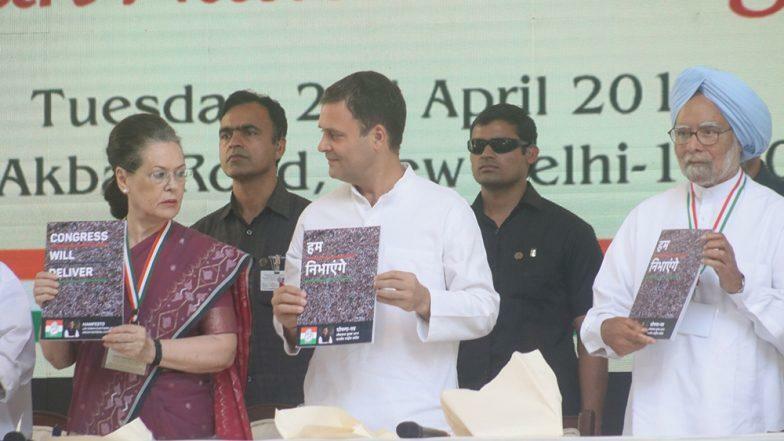 Jawaharlal Nehru once said, ‘Everything can wait but not agriculture.’ This is how Congress released its manifesto on agriculture for upcoming general elections 2019, without realizing that the agriculture has always been made to wait by governments, even under their own in recent times. But the gamble of standing up for farmers paid Congress very well in the recently held elections in big states and it is reflecting clearly in its manifesto on agriculture. The manifesto is promising for the two things – a separate “Kisan Budget” every year and a National Commission on Agriculture Development and Planning. The recommendations of the Commission shall be ordinarily binding on the government. The Commission will subsume the existing Commission for Agricultural Costs and Prices and recommend appropriate minimum support prices. Over the past three years, farmers have been protesting across the country demanding separate agriculture budget, a separate commission for farmers, prices for their produce, etc. Led by several farmers organizations like All India Kisan Sabha, Jai Kisan Andolan, Bhartiya Kisan Union, and leaders like Amra Ram, Yogendra Yadav, Rakesh Tikait, Raju Shetty, etc, the political parties have been compelled to take note of farm crisis. However, the manifesto did not mention anything on guaranteeing minimum monthly income for farmers and pension for old farmers. Congress has also promised to establish a College of Agriculture and a College of Veterinary Sciences in every district of the country. It has also said, it will double the funding in 5 years for teaching, R&D, agriculture-related pure sciences and applied science and technology in the agricultural sector. The manifesto also promises of separate Ministry of Fisheries and Welfare of Fisherfolk and a National Fisherfolk Commission to promote fishing and the welfare of fisherfolk. This was a long pending demand of fishermen across the country. Though in interim budget in February, Modi Government had announced the creation of a separate fisheries department but Congress has promised more. On farm loan waiver, Congress is moving a step further from farm loan waiver and promising Karz Mukti or freedom from indebtedness through a combination of remunerative prices, lower input costs, and assured access to institutional credit. It also said, as debt is a civil liability so they will not allow criminal proceedings to be instituted against a farmer who is unable to pay his/her debt. The manifesto also mentions reviewing of the prices of agricultural inputs, extending subsidies where necessary, and establishing facilities to hire farm machinery. Congress has also said that it would repeal the Agricultural Produce Market Committees Act and make trade in agricultural produce—including exports and inter-state trade—free from all restrictions. It has also promised to repeal The Essential Commodities Act, 1955 and replace it by an enabling law that can be invoked only in the case of emergencies. As of now, victory for the Congress is that, at least the manifesto is being discussed and debated.